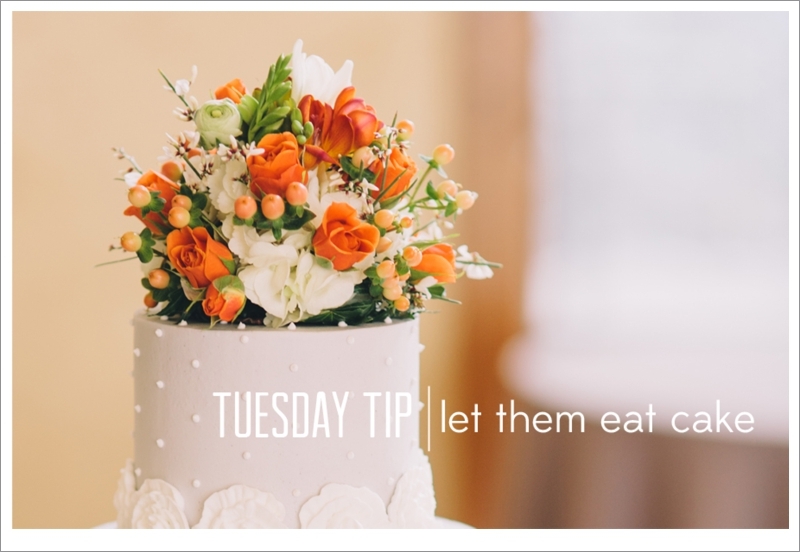 Are you planning to follow the tradition of saving the top tier of your wedding cake for your first anniversary? If so, don't forget to let your bakery know that these servings from the top tier should not be included in your overall guest cake count. If the idea of buying even more cake, as well as trying to correctly store your top tier for a year, makes you wince a little...there are solutions! Give everyone a top tier! 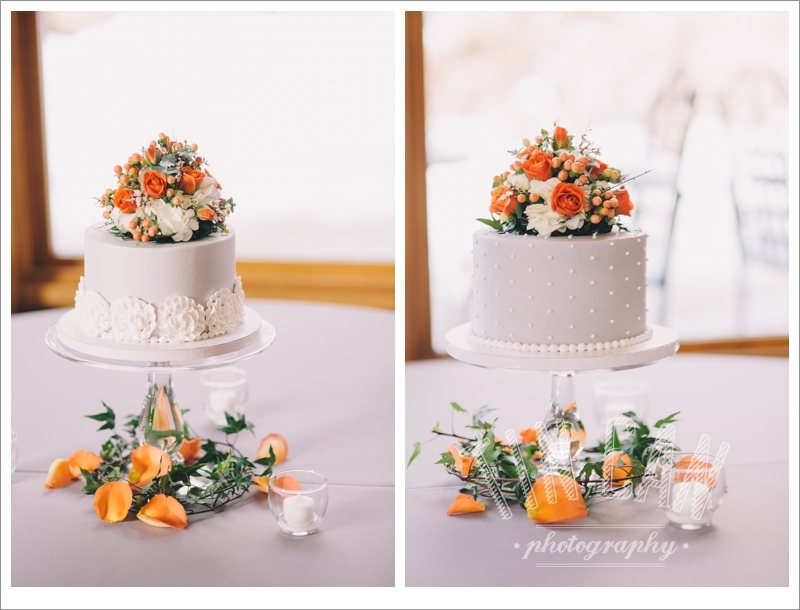 We've seen a few of our couples choose to have a small cake on each guest table at the reception. Not only are there a lot more flavor choices, but by making this choice, you've got cake and centerpieces covered! Hope these tips are helpful in your planning! If you're now thinking you're a little worried about just how much cake you'll need, don't worry! We covered servings and sizing HERE!